Vinland The Dream is a short story collection published in the UK in 2001. It contains no previously unpublished material (however that material might be now harder to find than this volume). The Martians returns to the world of the Mars trilogy. It is a short story collection published in 1999. It consists of stories, poems, in-universe article excerpts, and even meta/autobiographical stories ("Purple Mars"). The stories do not necessarily take place in the same universe as the Mars trilogy, nor do all feature characters familiar to us from the trilogy. Down And Out In The Year 2000 is a short story collection published in 1992 in the UK. It contains stories from The Planet On The Table and Remaking History. Escape From Kathmandu is a collection of four short stories that follow a group of climbers in the Himalayas. Three of the stories had been previously published; the collected volume was published in 1989. Because of the similar characters and setting in the stories, Escape From Kathmandu could be considered as a novel. The Planet On The Table is the first collection of short stories by K. S. Robinson. It was published in 1986. It contains 8 stories. Remaking History is a shot story collection published in 1991. It contains 15 stories. Remaking History And Other Stories is a short story collection published in 1994. 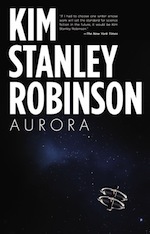 It is essentially an omnibus edition of Robinson's two previous short story collections, The Planet On The Table and Remaking History (with which it shares a similar cover). It contains 23 stories.